Small red barn located at 5th and G Ave, Lake Oswego, Ore. Belongs to Carl Vose. Taken Feb. 20, 1963. Probably was built in 1920s. Believed to be the only remaining barn in this style in First Addition in Lake Oswego. For the Friends of Library file. Photo donated by Mr. and Mrs. Cecil Trainer. Description Slight creases. 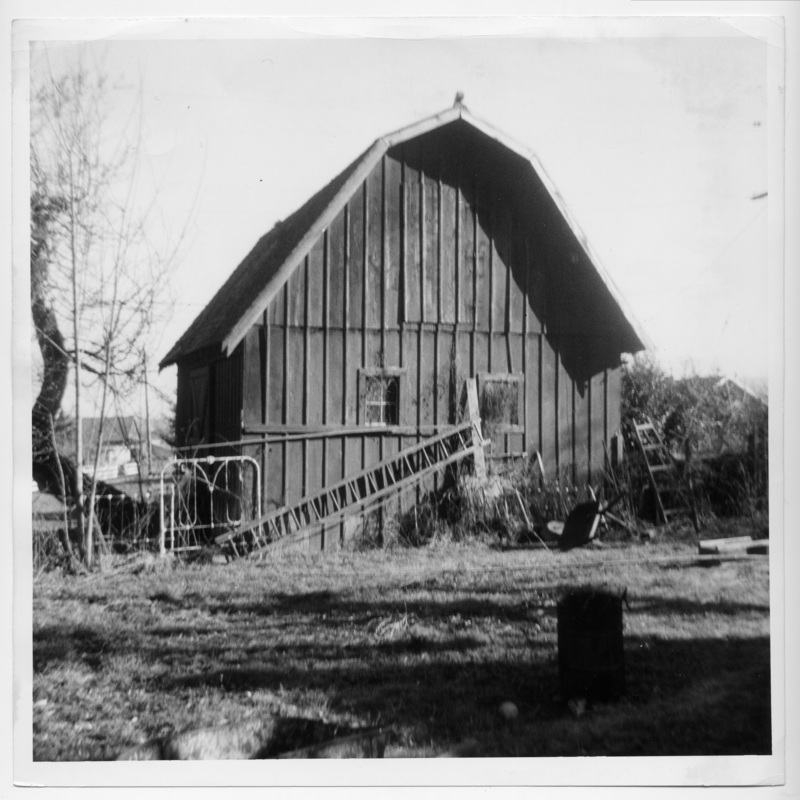 See also HRAB438 & HRAB439 where it is called the Johnson barn. Transcription Small red barn located at 5th and G Ave, Lake Oswego, Ore. Belongs to Carl Vose. Taken Feb. 20, 1963. Probably was built in 1920s. Believed to be the only remaining barn in this style in First Addition in Lake Oswego. For the Friends of Library file. Photo donated by Mr. and Mrs. Cecil Trainer. Physical Description H 8" X L 8"